The blue pulse flow of the Colorado River approaches the brown tidal flow of the Gulf of California. A few days ago, the Colorado River flowed into the Gulf of California for the first time in twenty years. 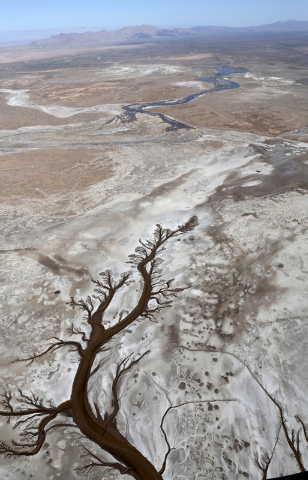 The pulse flow, a one-time release of water into a stretch of the Colorado River that has been dry for decades, began on World Water Day on March 23. 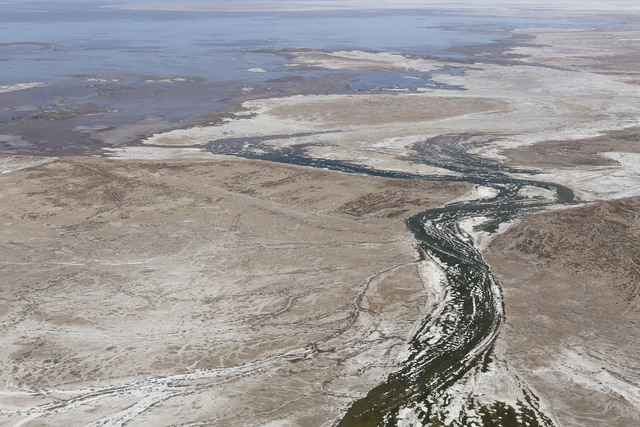 It was estimated by project coordinators at the time that it would take two weeks for the pulse, which was intended to simulate the annual floodwaters that once irrigated the Colorado river basin and flowed into the Gulf, to reach the Colorado Delta. Sandbars, scrub and underbrush meant it took more like six weeks. Researchers have been planting trees and seeds in the irrigated areas, aiming to re-establish some of the ecosystem along the non-agricultural branch of the river. Did the delta greet the river as an old friend, and did the river recognize the gulf where it once flowed? Another reintroduction of old companions took place in the wild Southern Carpathian mountain range in Romania. Seventeen European bison (Bison bonasus), hunted to extinction in the region two centuries ago, were brought in from Sweden, Germany, Switzerland and Italy to begin a rewilding effort. The bison has been making a comeback across Europe, but with around 5000 individuals across several countries, Europe’s largest herbivore is still listed as ‘vulnerable’ on the IUCN Red List. 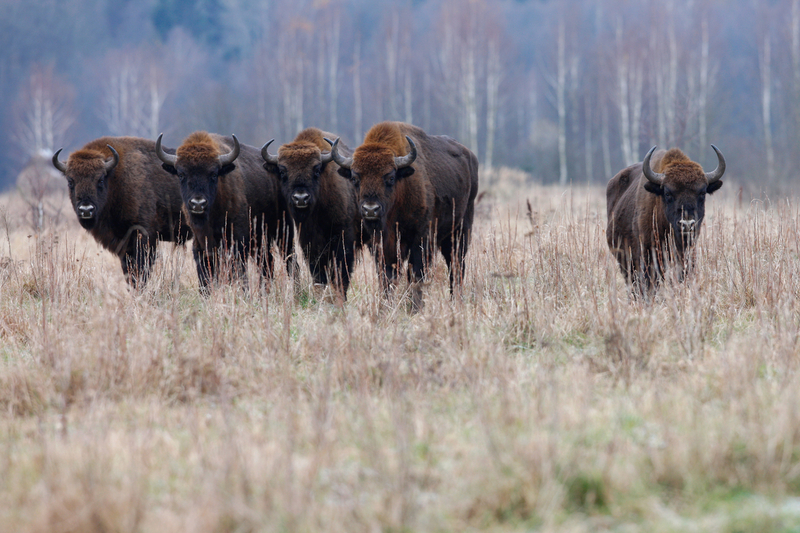 The hope of organizers Rewilding Europe and WWF-Romania is that the presence of the wild bison will help re-establish biodiversity through grazing and browsing. Over the next few years, several hundred more bison will be brought into the area. It will be so interesting to see how the land and ecosystems respond to the presence of these long-absent inhabitants of meadow and forest. Is it possible to reawaken land memories, and memories of land in animals?